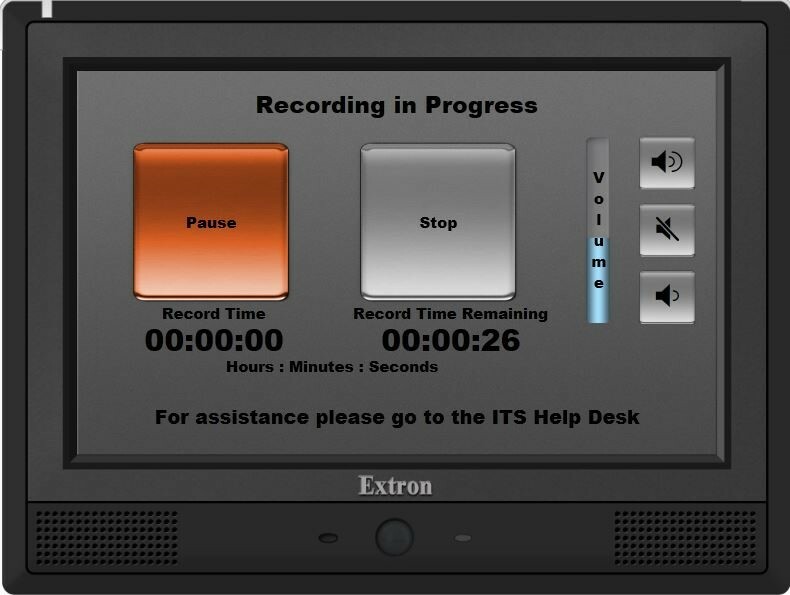 Instructions for using the U-Record Studio located in Karrmann 103. 1. Turn on Lights – light switch inside door - powers up the room and triggers “in use” light on the outside of the door. 2.If using computer, prepare your documents from shared drive or content USB drive inserted into front of computer. To clear warning, touch the panel. 4. 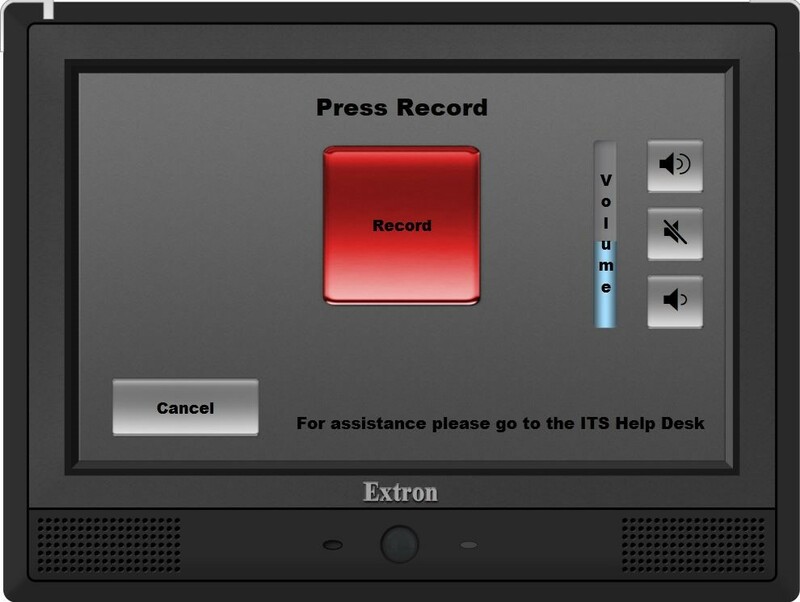 Choose one of the record options (computer only, video only, or computer and video) on the touch panel to power up the remaining elements of the room. 5. You will then see the System Startup screen as all the devices recall the initial presets. 6. To record; press the large record button. 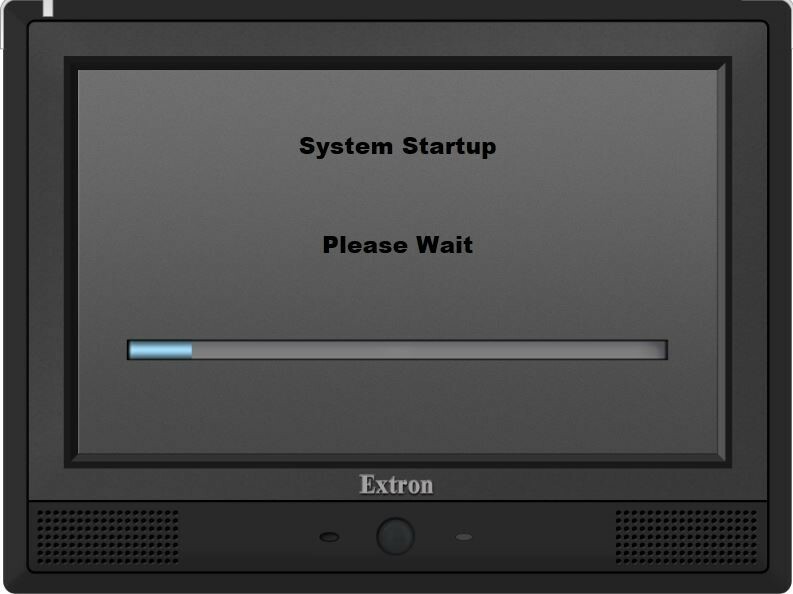 The volume slider bar is there to indicate the volume level of any audio coming from the computer. It can be adjusted by using the three buttons on the right (Increase – Mute – Decrease). The Cancel button will take you back to the main screen. It should be used if you change your mind about what record mode you are in or need to leave. 7. Touch display will show you your record time as well as estimated time remaining on record drive. The estimate time will adjust as it goes (it may jump around). When done, press the stop button. 8. 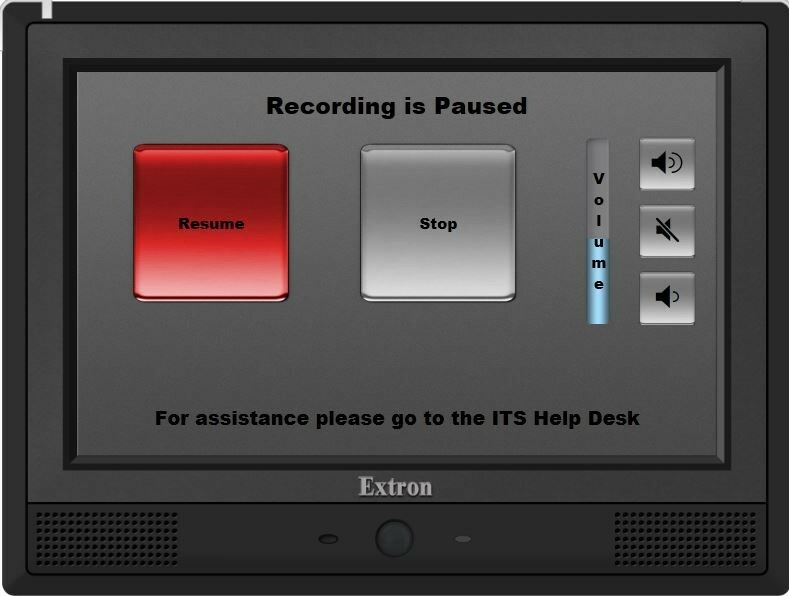 If you need to pause the recording for any reason, press the pause button; when you’re ready to resume, press the record button. 9. It takes a few seconds to “finish” the recording. 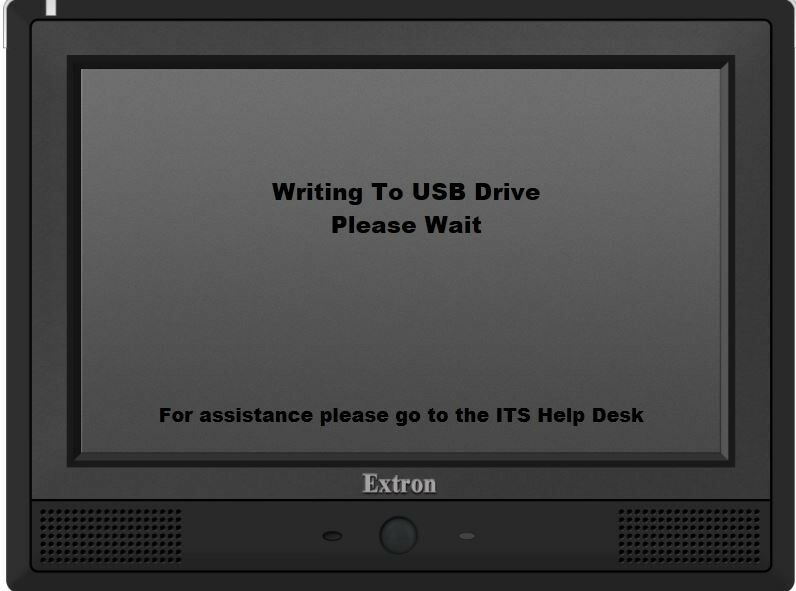 The touch panel will prompt you when the USB record device is ready to be removed. 10. 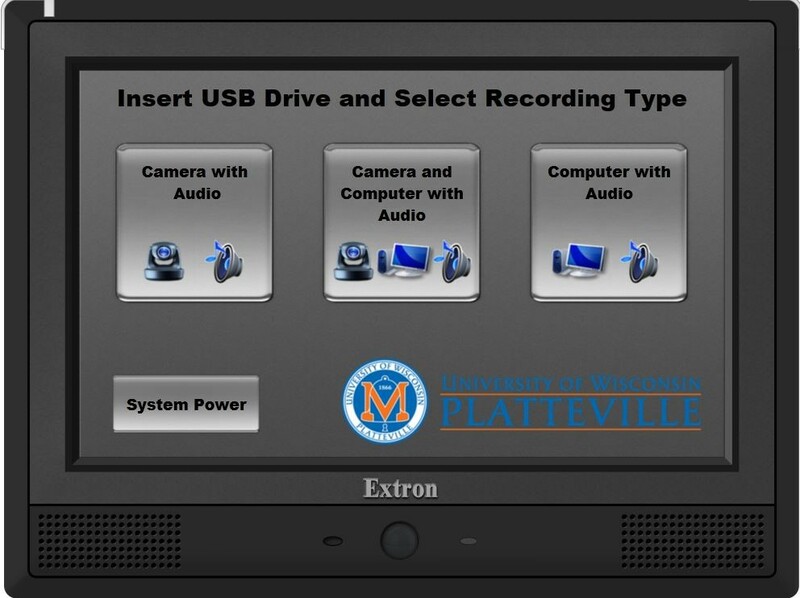 When the USB Drive is ready, you will see this screen to Remove the USB drive or make another recording. 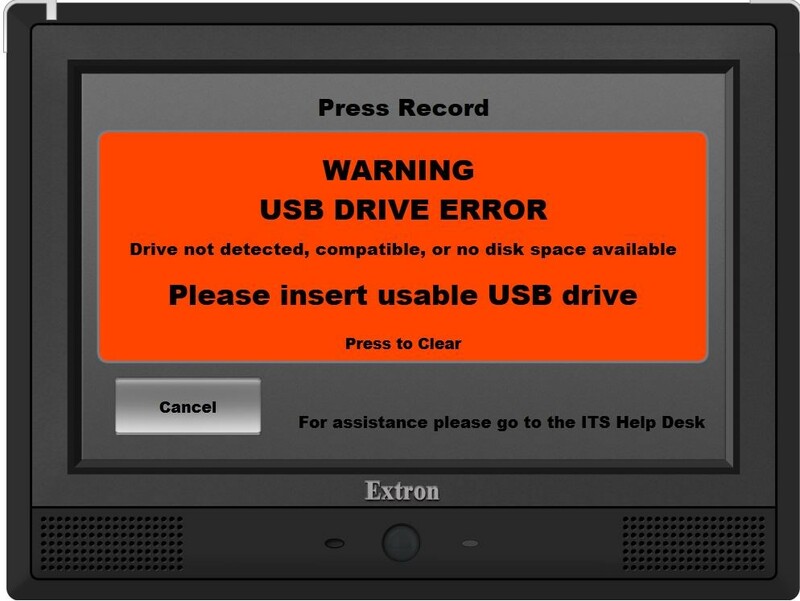 • There must be at least 10 minutes of available space on the USB drive in order for the recorder to not give you an error. 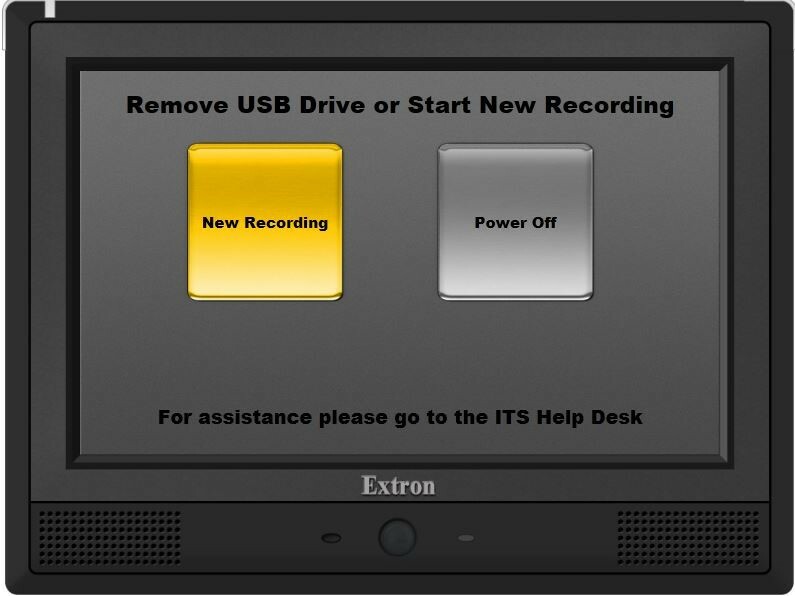 • When USB device reaches less than 10 minutes of recording time available a warning will be displayed on the touch panel. Recording will continue until the device reaches zero space available. At that time the recording will stop and a visual and audio warning will be seen and heard. NOTICE: The "Pause" button is currently not operational. Currently, if "PAUSE" is pressed while recording, the recording will simply continue as usual. MTS is aware of the issue and is working to restore functionality as soon as possible.